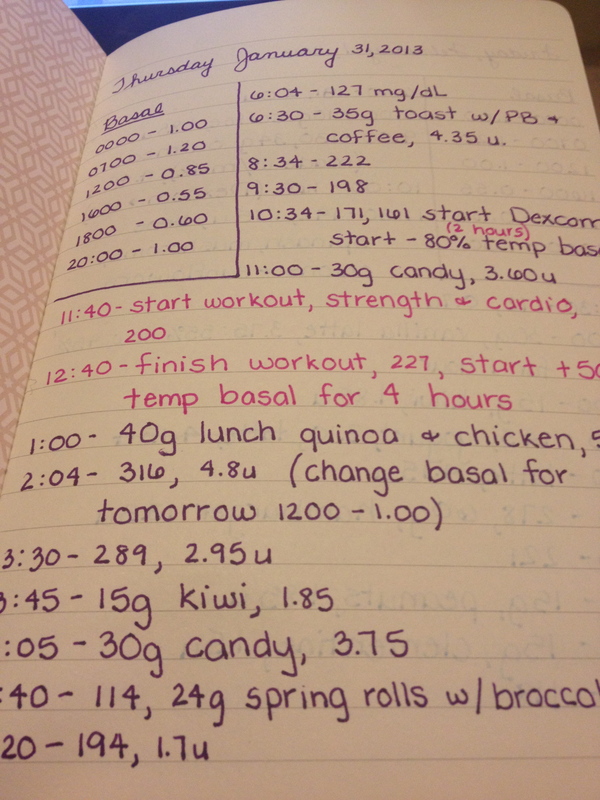 Many times I stop logging because I don’t like the numbers I am seeing. I read the cover of this book every time I open it, and I remember that no matter what I am writing (basal, BG, bolus, food, carbs, activity), I am more than just a number. The numbers are a starting point and it doesn’t matter what the number is because I move on from there. I have felt better since I started this. (Mom, you don’t need to say “I told you so!”) It’s not organized and it’s not boxy, but it works for me and that is all that matters. If you’re wondering how I know it’s working, I’ll show you one last picture from my meter. I gasped when I saw it and I know it means I shouldn’t stop. 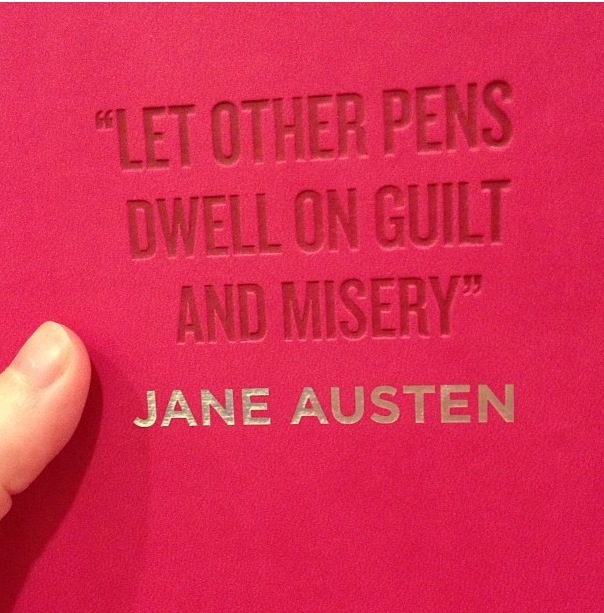 Even when it’s a pain to carry this book everywhere, I know it will help me get through the hard days. I do need to. Thank you. LOL! Love your mom’s comment. That steady drop in averages is awesome! 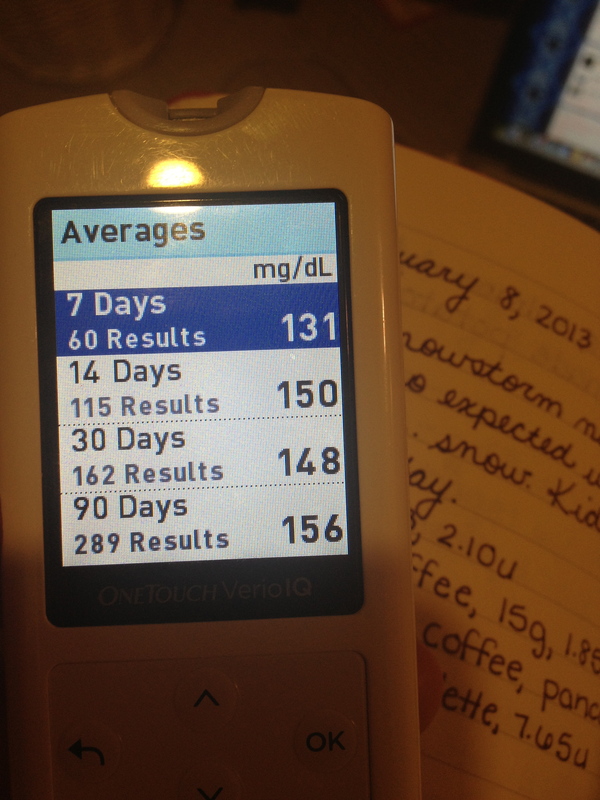 February Presents: Best ‘Betes Blogs | A Consequence of Hypoglycemia.